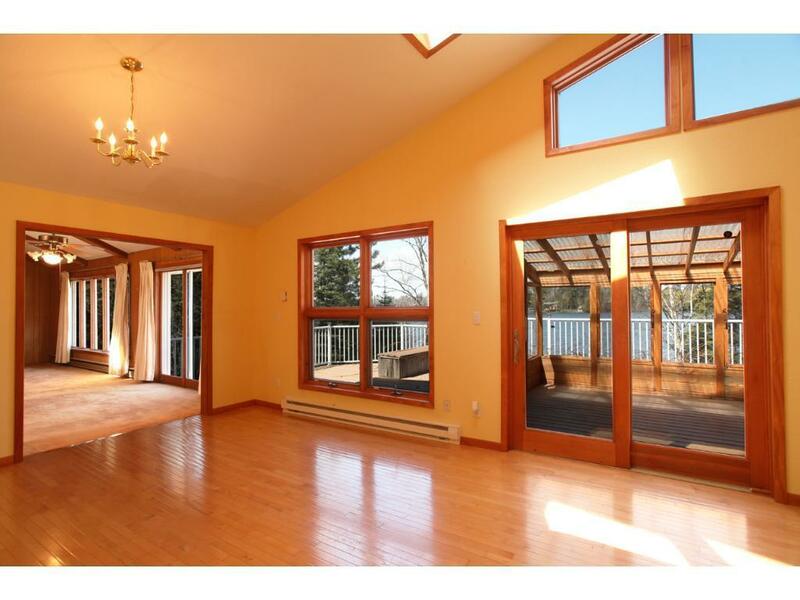 Spacious 5 BR Lake Home W/SAND Shoreline, Private Gradual Lot, Beautiful Water Views From Most Rooms! Set on 2 acres & 204 ft shoreline, located off paved Hwy 53 on highly desired Sand Lake in Britt, just 10 mi to Virginia on paved roads. 2988 SF, 5BR/3BTH home w/attached garage. Vaulted great rm w/natural light pouring in floor-ceiling glass lakeside, wood burning FP, glass doors open to 40 ft lakefront deck w/ mature grape vines & sun porch. Large kitchen w/bay window. Click link for 3D Tour!